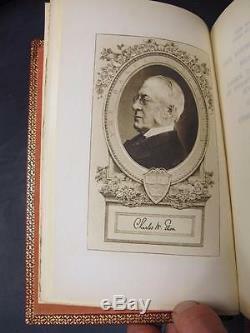 1909 HARVARD CLASSICS Leather SET 1ST ED Rare SIGNED Illustrated LIMITED Vtg. Published by P F Collier & Son Company; New York. 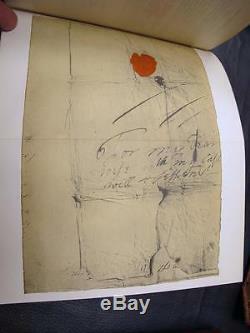 Each volume measures 9" x 6". 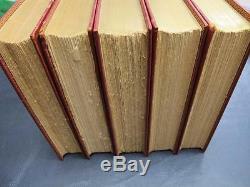 The Rarest and most sought after set of Harvard Classics ever produced! 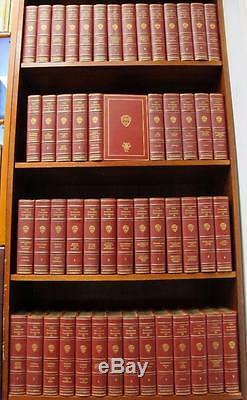 Incredibly rare set of The Harvard Classics, complete in fifty-one volumes! Bound in full leather--this is a first edition limited printing numbered 7 of 200. 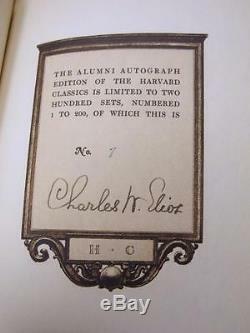 Volume one signed by Charles Eliot, editor, compiler and the president of Harvard University! Excellent condition, antique, first edition, complete set. Bound in full Morocco with bright gilt decoration, sewn in bookmarks, gilt top edge, rough cut side edge, and Moire end papers. Tight and square bindings with clean and white pages. 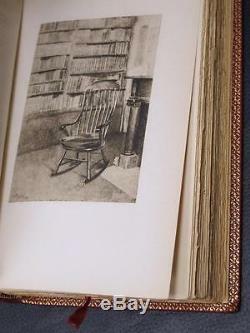 Illustrated with many fold-out plates not seen in any other Harvard Classics set, as this issue was a deluxe printing. An extremely rare and coveted set! 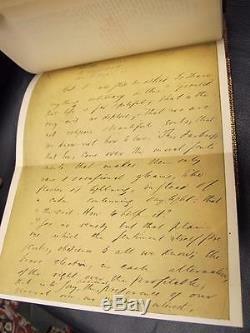 1909 first edition, first deluxe printing. 50 of the greatest books ever written plus the unnumbered lecture volume. Create listings that get noticed! With Auctiva's 1,800+ Templates. 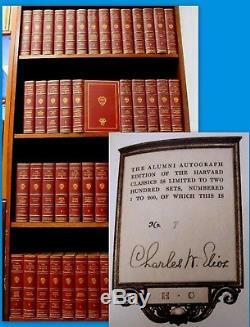 The item "HARVARD CLASSICS 1st ALUMNI Ed 7 of 200 Limited & Signed LEATHER SET Ultra Rare" is in sale since Saturday, November 18, 2017.